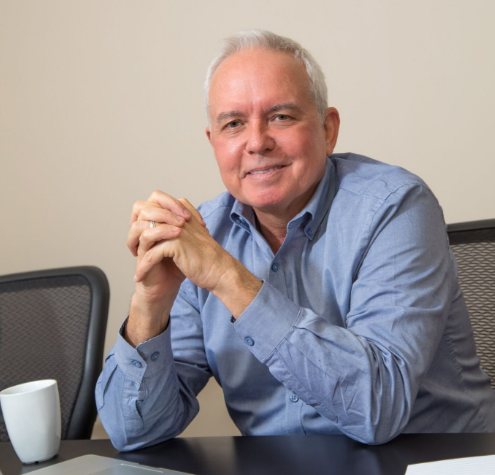 Meet our CEO and Founder, Rick Russell! Family/Pets? Wife Kathleen, 1 adult son Cory, 3 grand kids, 2 dogs, 4 cats. What cause are you most passionate about? Medical IDs, of course. Fun Fact? I don’t know, I’m a fun guy, if you ask the right person. (Probably my grandson Cohen). What is your favorite thing about working at AMID? Collaborating and working alongside people who are passionate. Trying to solve very hard problems. Who would you like to exchange roles with at AMID? James or Max – our field reps. I like being out talking to the people who recommend and value what we sell. What’s the greatest bit of advice a parent or mentor has given you? My Dad said “Don’t quit your day job” which made me want to quit my day job. If you could have a dinner with someone who is alive or dead, who would it be and why? For one, my great-grandpa (Henry Bloodworth). A real-life cowboy who could have told me lots of stories. At 10 I was just too young to know he wouldn’t be around forever. About US, American Medical ID, Meet The Team. Bookmark.